Air Wick has partnered with the National Park Foundation in the US to preserve and celebrate the purity and beauty of America's over 400 national parks. Air Wick also teamed up with the UK’s National Parks to raise awareness of the parks and generate funds for vital projects to conserve heritage and improve facilities for the National Parks and the communities within them. Bring home a whiff from the hills of Munnar, with the soothing touch of Lavender and Lotus that gives a feeling of relaxation through the day. 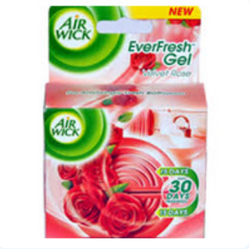 Air Wick Freshmatic freshener adds charm to your home by inducing fragrances in the air instantly. The Air Wick Freshmatic device automatically releases bursts of continuous fresh fragrance, so that your home always smells beautiful. 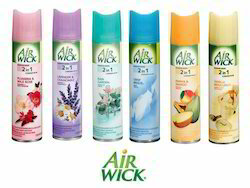 Airwick Room Freshner Automatic Machine comes with one Refill free. Fragrance: Aqua Floral,Lemon Garden,Lavender Dew,Mystic Sandal and Jasmine. We are emerged in offering premium quality Air Wick Freshmatic Air Freshener.